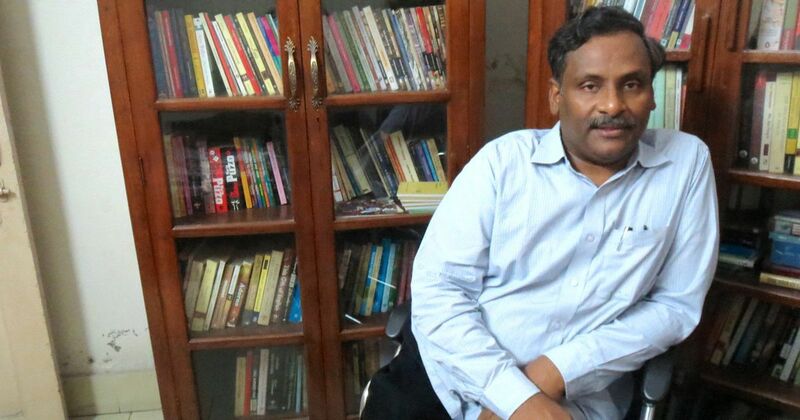 UNITED NATIONS RIGHTS EXPERTS URGED INDIA TO RELEASE JAILED DELHI UNIVERSITY PROFESSOR GN SAIBABA, AS HE IS SUFFERING FROM SEVERAL HEALTH PROBLEMS. Saibaba was arrested in 2014 for alleged links with Maoists and sentenced to life imprisonment last year. United Nations rights experts on Thursday urged India to release jailed Delhi University professor GN Saibaba, as he is suffering from several health problems. The wheelchair-bound academic was arrested in May 2014, after the police in Gadchiroli, Maharashtra, claimed he had links with Maoists. He was sentenced to life in prison in March 2017 and has been in the Nagpur Central Jail since. “We are concerned about reports that Saibaba is suffering from more than 15 different health problems, some of which have potentially fatal consequences,” the experts said in a joint statement in Geneva. The experts include special rapporteurs Catalina Devandas, Michel Forst, Dainius Pūras and Nils Melzer, the office of the United Nations High Commissioner for Human Rights Zeid Raad Al Hussein said. “Saibaba’s health is progressively and severely deteriorating because of poor jail conditions and untrained staff unable to adequately assist prisoners with disabilities,” the experts said, adding that he is now in “urgent need” of adequate medical treatment. The human rights commissioner’s office called Saibaba a “long-standing defender of the rights of various minorities in India against corporate interests”. It claimed that the judgement convicting Saibaba “allegedly failed to point out a single instance in which Saibaba was a conspirator to commit violence or provide logistical support to violent acts”.